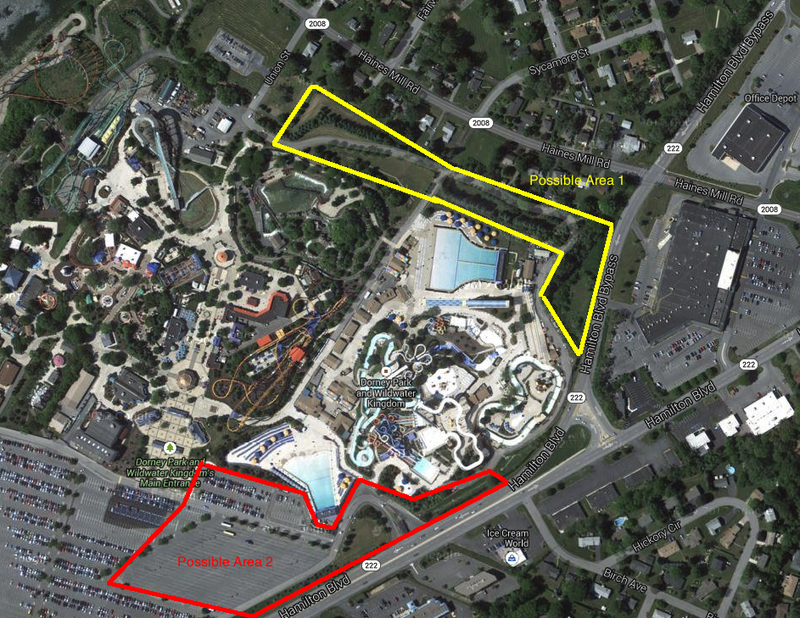 We've just received word that Dorney Park and Wildwater Kingdom, located in Allentown, Pennsylvania, will be making a big announcement about an major addition to Wildwater Kingdom for the 2014 season. On Wednesday, August 28th, 2013 at 9:15am the park will be announcing what this new multimillion dollar project will be. 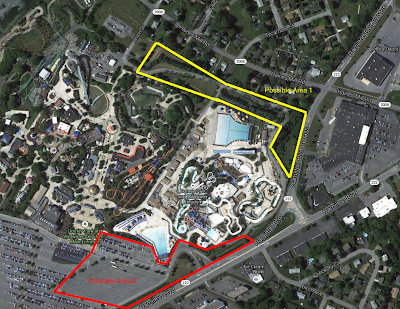 After consulting with my expert on Dorney Park and Wildwater Kingdom, this could be a potentially massive expansion. Possibly taking over several areas already owned by the park. I've complied a quick map (via GoogleMaps) of the possible areas which may see new construction soon. While unable to attend the media conference in person, we hope to bring you this breaking news as quickly as possible. Please stay tuned for updates! Dorney Park and Wildwater Kingdom have made their big announcement, follow the link below for more information.